Lovely sunny day here in Hook Norton. Grass cut for the first time last week, it certainly needed it as I found a couple of tennis balls which had been hidden by Jimmy and his friends. 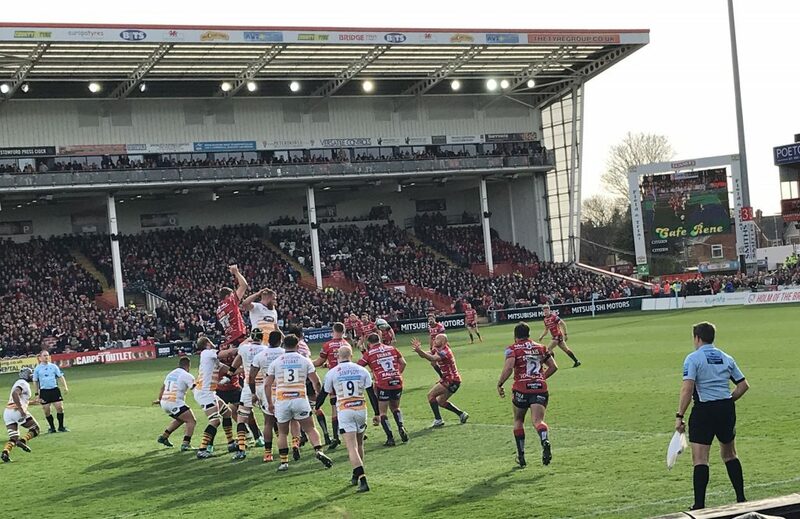 Kingsholm on Saturday – good win for Glaws against Wasps. Lineout action as viewed from The Shed – my first time there.